[Update] The latest issue of Famitsu has confirmed that the Berserk and the Band of the Hawk story mode is going to be around 20 hours long, according to reports. Over 100 hours will be required to see everything the game has to offer. [Original Story] Berserk and the Band of the Hawk, the new hack and slash game developed by Omega Force, is now very close to its Japanese release on PlayStation consoles, and today Koei Tecmo shared the game’s opening movie, which will definitely get fans of the series created by Kentaro Miura quite excited. The Berserk and the Band of the Hawk opening movie, which can be found right below, is an action packed opening movie also featuring plenty of gore, in true Berserk style. The movie also features some of the most important events of the Berserk story which fans of the series will instantly recognize. A couple of weeks back, another Berserk and the Band of the Hawk trailer has been made available online, showcasing all confirmed playable characters, including the Apostles Nosferatu Zodd and the vile Wiald, some story sequences and much more. 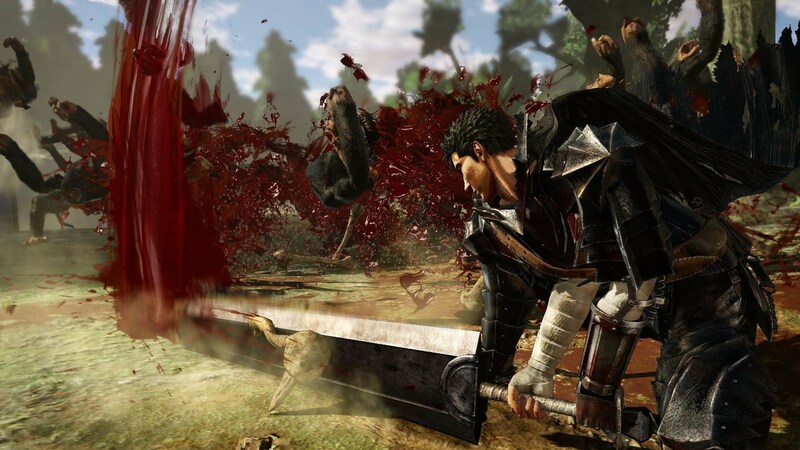 Most of the Berserk story will be playable in the game’s story mode, which will also include some interactions that never happened in the manga and anime, so that event those who know the story by heart will find something new to enjoy in the Omega Force developed game. Berserk And The Band Of The Hawk will feature the trademark Omega Force gameplay experience, with several different playable characters coming with different movesets and abilities. Among the confirmed playable characters are series’ protagonist Guts, his nemesis Griffith, the already mentioned Apostles Nosferatu Zodd and Wiald and a few others. Berserk and the Band of the Hawk was originally scheduled for a Fall release in North America and Europe, but it’s been confirmed not too long ago that it will launch this February on PlayStation 4, PlayStation Vita and PC in North America and Europe. We will keep you updated on Omega Force’s upcoming title as soon as more comes in on it, so stay tuned for all the latest news.